CEO of ANY Security Printing Company Gábor Zsámboki also participated at the official event of handing over the letter of commission to the new Hungarian Honorary Consul Giresse Tella. Hungarian Ambassador András Szabó was also present at the introductory visit with Prime Minister of Ivory Coast Amadou Gon Coulibaly and appreciated the close relationship between the two countries. CEO Gábor Zsámboki praised Giresse Tella’s activities performed up to now in the field of development of business relations between Hungary and Ivory Coast and expressed his hope that these relations would become even closer in the future through the new consulship. 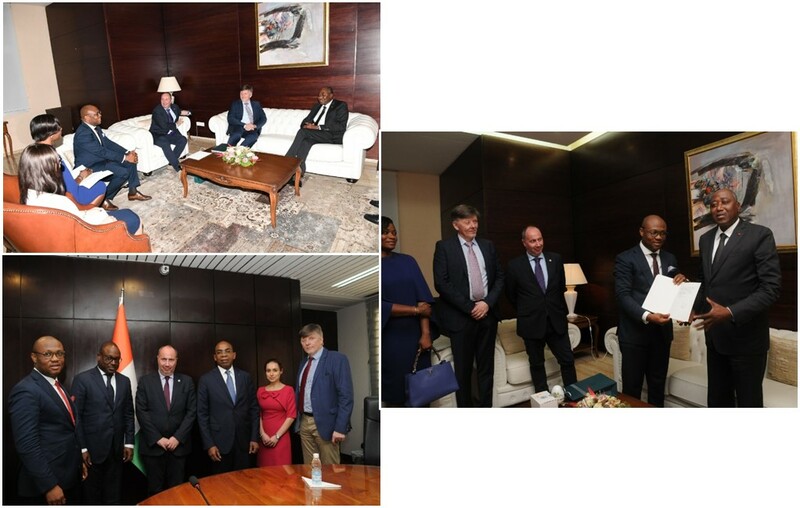 During his visit in Ivory Coast, Mr. Gábor Zsámboki, CEO met Mr. Claude Isaac DE, Minister of Construction, and also a number of high-ranking state leaders who, in addition to a cordial welcome, showed great interest to several successful Hungarian products and solutions.